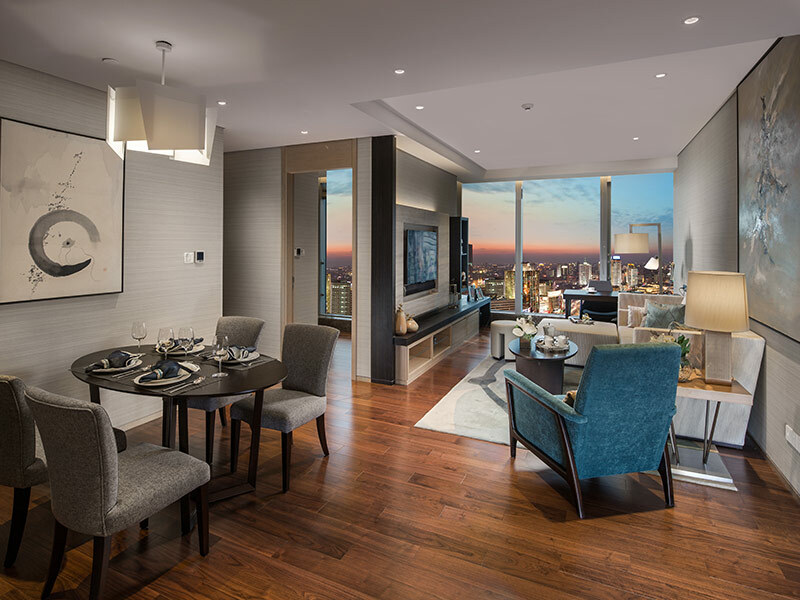 Ascott Wuxi Central is a serviced apartment complex, developed by Capitaland’s Ascott group. 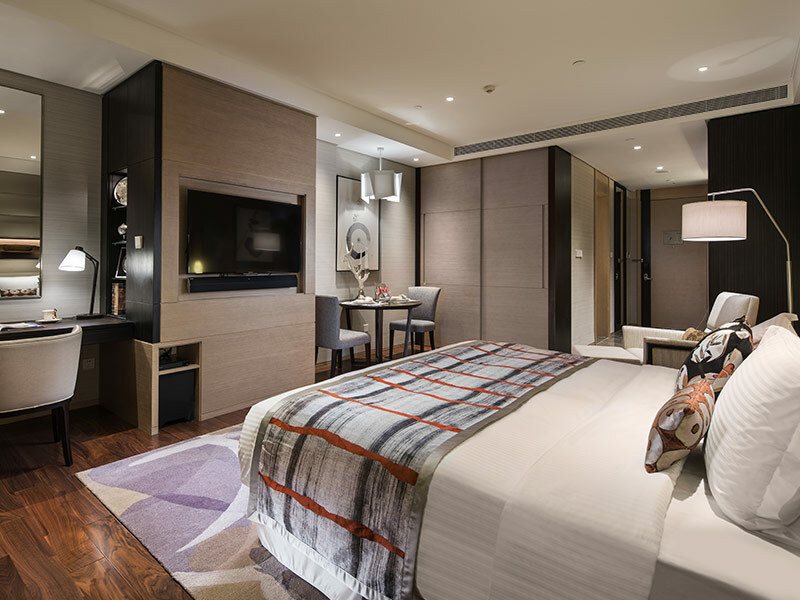 Located in the heart of Wuxi, this 23,000 m2 serviced apartment complex is luxurious, yet comfortable. Operating since last winter, the complex has modern amenities and functional modern design. At 13th Golden Pillow Award of China Hotels, it won China’s Best Serviced Residence of 2016. 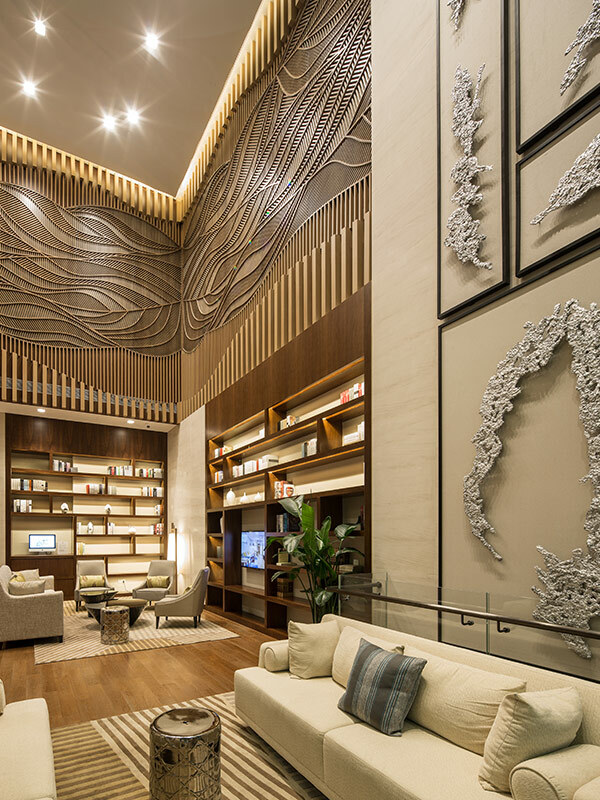 The design brief for Ascott Wuxi Central is aimed at showing Wuxi’s history in a modern look. The city of Wuxi has a rich history, spanning over 3,000 years. Started as a small fishing village, Wuxi has grown into a textile-manufacturing town. At the end of Qin dynasty, the city changed its name to Wuxi, translated to “lacking tin.” Many manufacturers have depleted the city’s rich natural resource “tin”. Learning from its past, the government has made its efforts to ensure the conservation of its ancient buildings. Moreover, a large art piece made of tin has been placed for the purpose of decoration of the lift lobby, and is serving as a symbol of fortune. The wave patterns serve as the reminder of the Lake Taihu in the town. Similar pattern has been ensured in the ceiling and wall design throughout the property. To accommodate various clienteles, the 134 bedrooms range from one to four rooms. The rooms have warm color tones with ancillary accents of citrus and cool colors. The large rooms have modern kitchen and bathroom amenities. The marble floor is in a collage of herringbone and patchwork patterns to mimic the ancient style. Reflecting the soft and natural design, signage is in a lotus leaf design. Such detailed design has been created at several places throughout the complex. The luxurious pool is decorated in blue mosaic, which contrasts the warm color scheme. The woven lamp shades are in various places, serving as homage to city’s past as a fishing village. A boardroom, several meeting and training rooms can accommodate corporate training workshops as well as multifarious events. The property welcomes families with children as seen in the large playroom. SL+A will provide on-going consulting services for Ascott Wuxi Central to achieve LEED Gold Certification. Environmental strategies run throughout the design and construction of the building, applying best practices with the least environmental impact. The building has excelled environmentally reducing water consumption by more than 40% and energy costs by more than 30%.